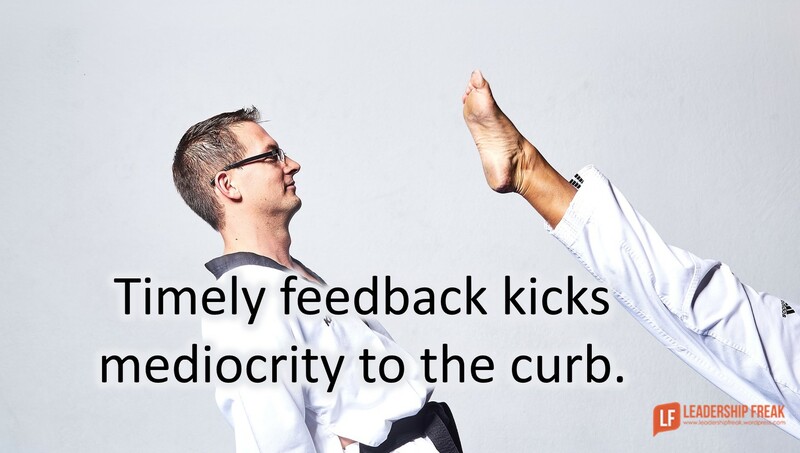 Timely feedback kicks mediocrity to the curb. Yes, you need the facts to give feedback, but powerful feedback includes heart. #1. Describe behaviors. Listen for commitments or excuses. Respond to commitment with encouragement, clarification, and support. Gently confront excuses. “It seems like you’re saying it’s OK to be late for meetings.” Avoid chasing excuses. Stay on topic. #2. Describe behaviors. Ask for clarification. #5. Say what you feel. It takes courageous vulnerability to give feedback from the heart. Keep in mind that you could be wrong. Don’t be attached to your feedback when you express feelings. #6. Say what you see when pointing out feelings. Describe what you notice when people seem unhappy, resistant, happy, enthusiastic, frustrated or fulfilled. #7. Speak directly if there’s no discussion. *Soften confrontations with, “I could be wrong.” The exception is #7 in the list. 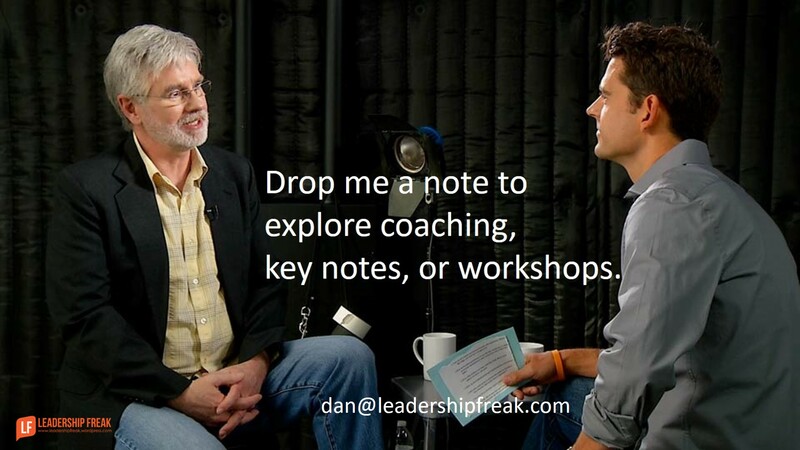 How might leaders give feedback that kicks mediocrity to the curb? If we come from the heart and tell the truth, there is no reason to deviate. Surely how we present things with proper wording makes a difference, it amazing if you change a few key words the message seems less commanding, yet more receptive to those listening. Thanks Tim. I’ve develop the habit of saying, “I could be wrong.” First of all, it’s true. Second, it’s more open. I have used“I could be wrong.”myself, looks like Is should be added to my standard protocol, I firmly believe becoming more open allows others realize we have nothing to hide! In a case like this, make sure you are ready for an answer you don’t like! When asked why he was late for a meeting, a former colleague told our supervisor that he thought it was more effective to spend his time “baking a bigger cake than sitting in another meeting arguing over how to cut the existing cake into ever-smaller slices”. Does your meeting resemble Lyndon Johnson’s description of a speech on economics: “like p*ssing down your leg. It seems hot to you, but it never does to anyone else.”?